The New England Wolves are pleased to announce the commitment of 1998 Michigan Born defender Nick Brewer to Post University for the Fall of 2019. "Im extremely happy for Nick on his commitment to Post. Nick improved tremendously during his time in our program. It was a pleasure working with him personally. 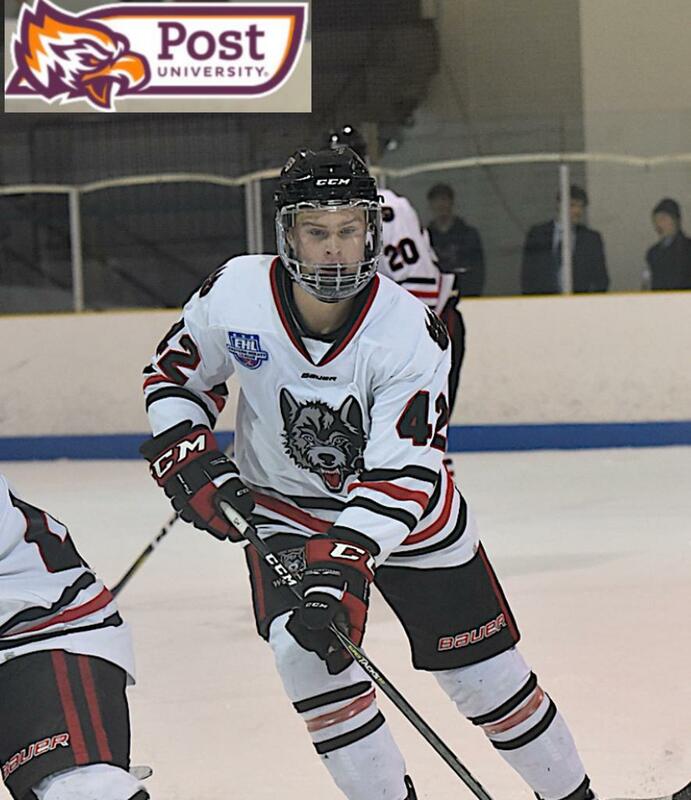 Great kid and to help him accomplish his goal of playing college hockey is awesome" said Wolves EHL Head Coach Tim Kunes. Post University is a private, for-profit university in Waterbury, Connecticut. It was founded in 1890 as Post College. Post competes at the NCAA D2 level, and Nick joins several Wolves Alumni who have played or are playing at Post, including Dom Senerchia and Will Francis.